Donkerque port with sailing ships. 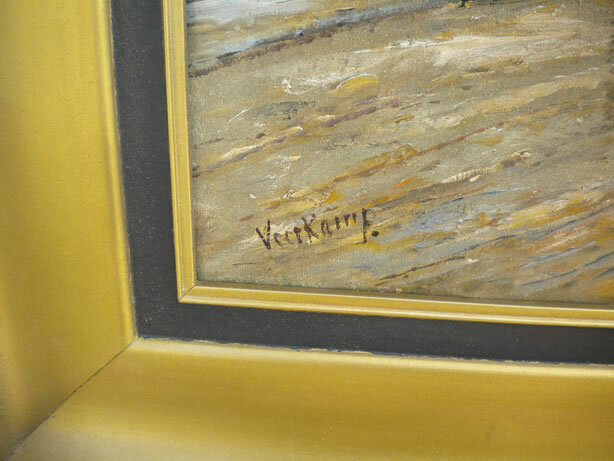 Signed "VeerKamp". 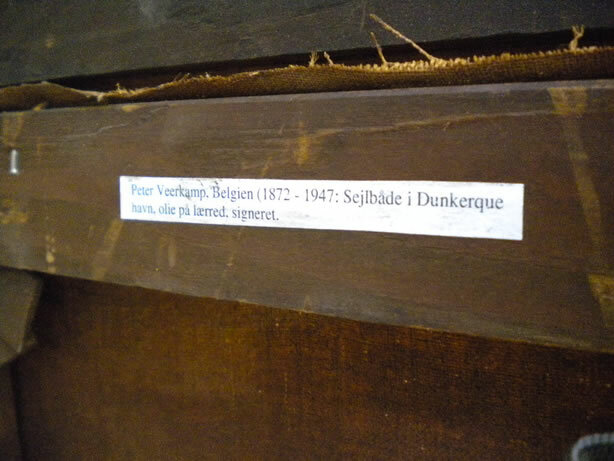 The Belgian artist Peter Veerkamp lived from 1872 to 1947. Oil on canvas. 125 cm X 69 cm.